I have literally taken pictures for this review thrice! Once, the color wasn’t coming as it is in real, another time I noticed that in pictures my nail-paint can be seen a little messed up, and then finally it came out fine. The weather in Delhi is hardly stable. Sometimes its cloudy, sometimes there’s full bloom of sun rays. 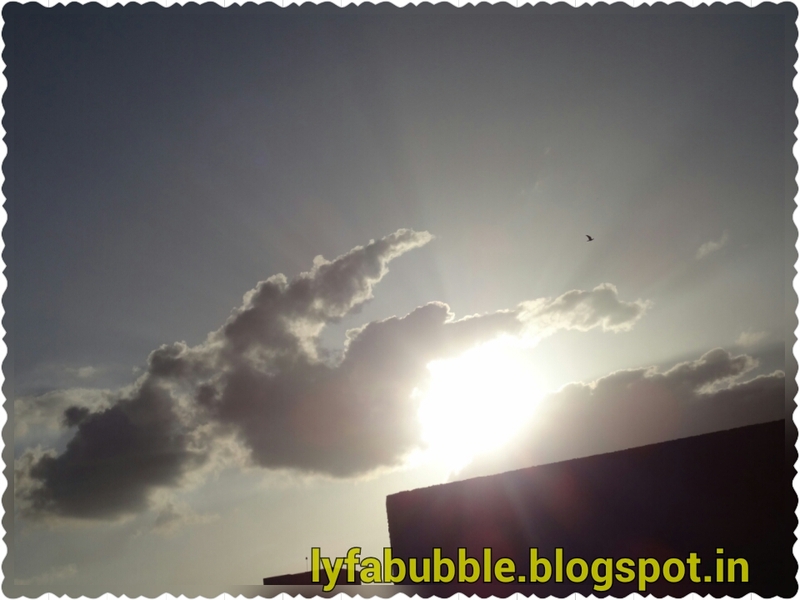 Ironically, from the window you feel- “Oh no, the sun rays are too much for me to go out” and when you go out there is too much of glaring sun, yet cool breezes flowing. Weather in Delhi is in dilemma (LOL). 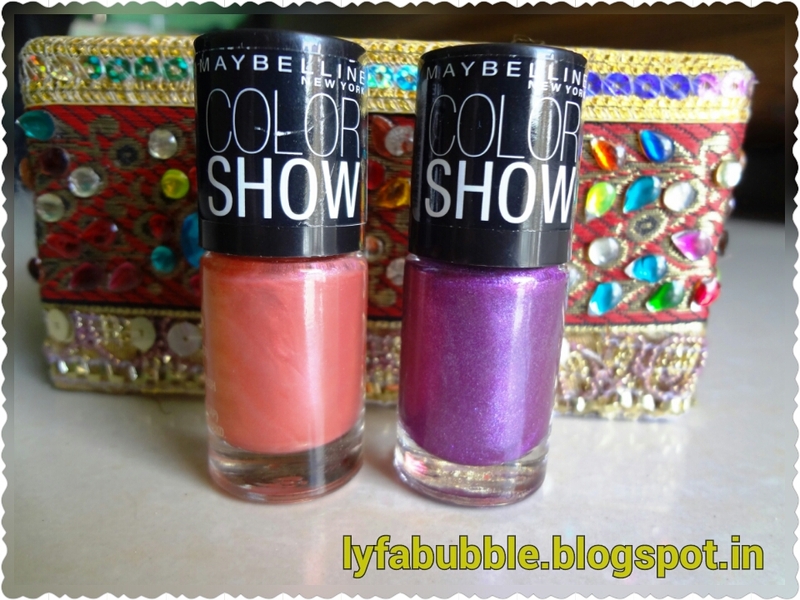 Today, I shall be reviewing MAYBELLINE COLORSHOW NAILPAINTS in the shade- 009 and 012. 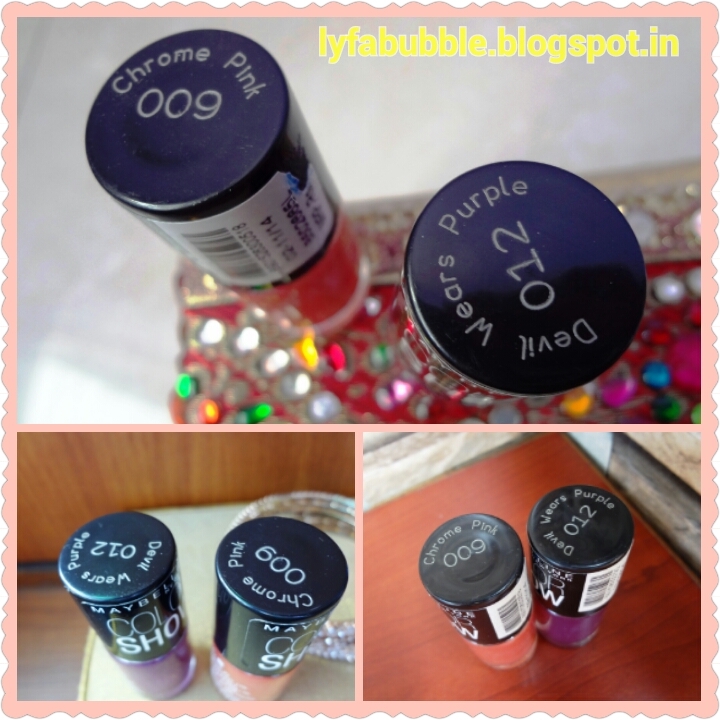 These nail-paints are priced at Rs 85 for net volume of 6 ml. 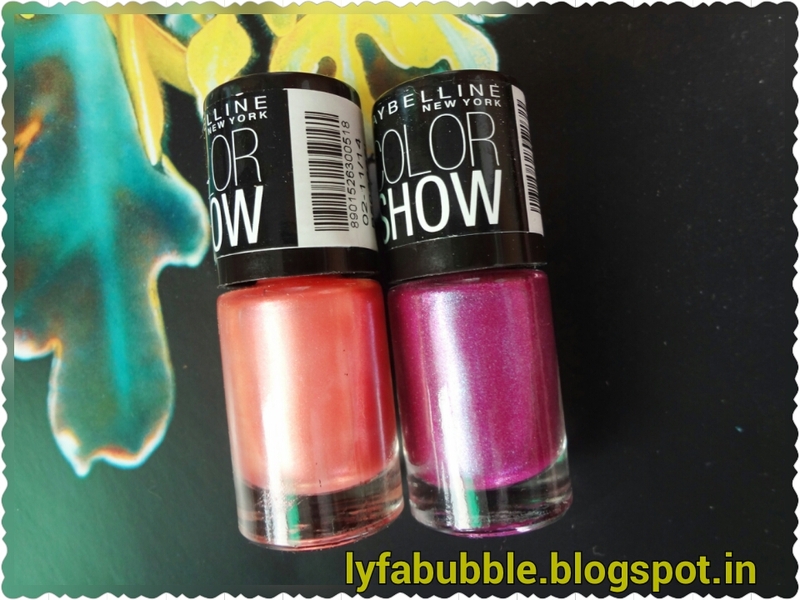 “Chrome Pink” is light pink shade which has finely ground glitter into it. With one swipe, the color remains sheer. 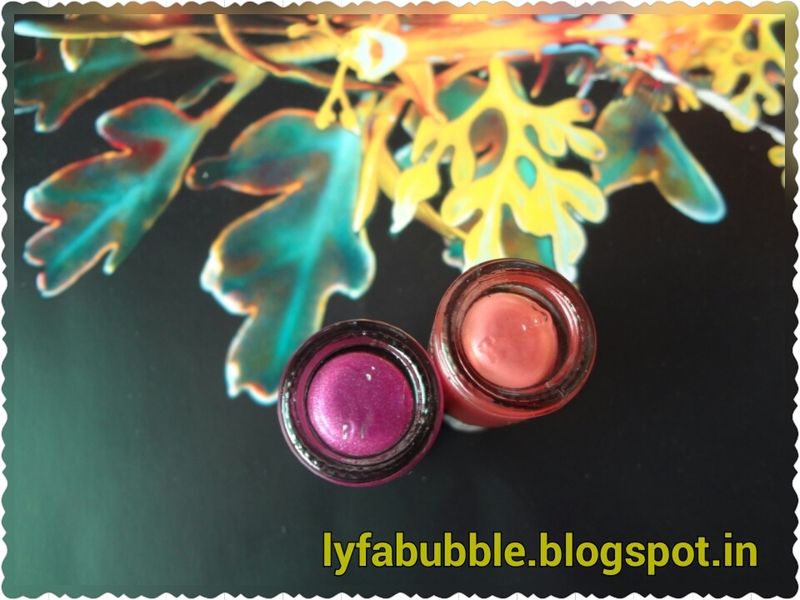 You have to layer it with two to three swipes to intensify the color and make it opaque. There is one con with this shade. It might not suit all skin tones. 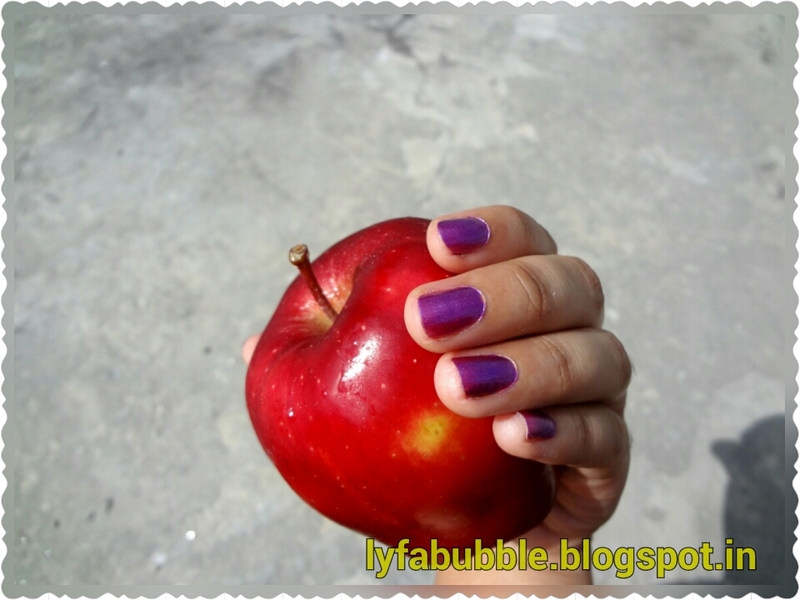 “Devil Wears Prada” is a gorgeous purple shade which has fine gradient effect to it. 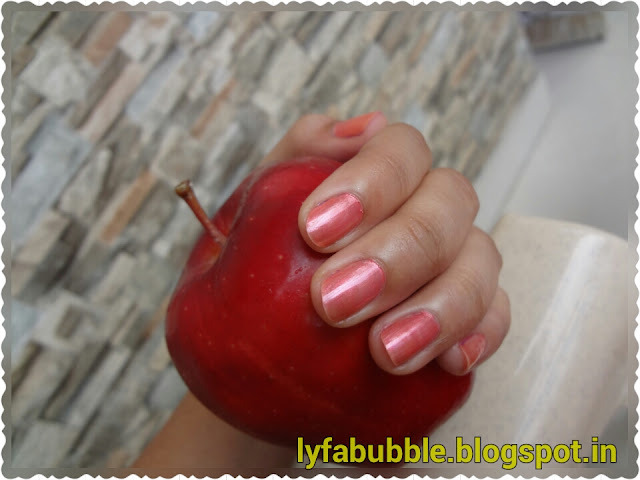 It is quite opaque in comparison to “Chrome Pink”. ”. This shade would work fine with a single coat. The color is such that it would suit all. 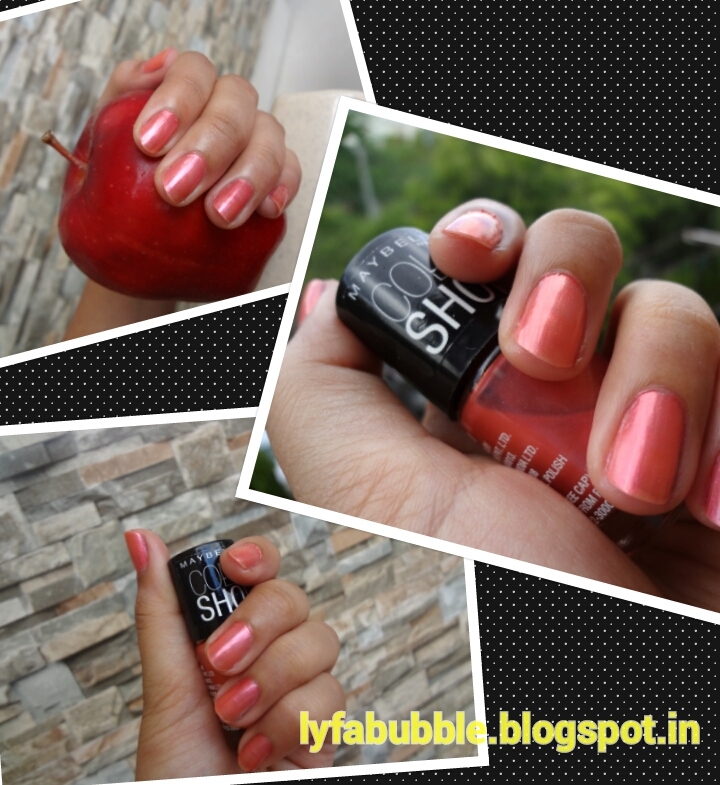 It gave an illusion that my tanned hands are lighter (wink). MAYBELLINE COLORSHOW has good nail-paints with variety of shades to offer. Their pay off is perfect. It lasts for 3 days, after which it starts fading from edges. Fortunately, it dries off real quick (maximum 2 minutes). You can totally skip a fast drying top coat with this one. These are priced decently; even the ‘Lakme’ ones are priced at Rs 100 (that too when it is an Indian brand).